like old generation anymore. Very convient, and much more beautiful effect. Very suitable for high level product. automatically and easy to operation. 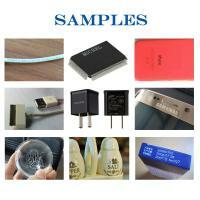 Leather, Cloth, Beverage, Ceramics, Plastic, Packing, Decoration, Mobile communications, Glass crafts, Advertising. 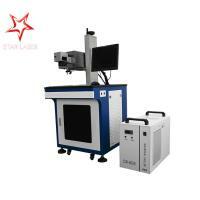 High marking speed and stable performance.UV laser marking machine main applied on internal or surface engraving on glass,crystal products, such as mobile phone screen,LED,optical device,atuo glass etc. Also it applied for processing on the most metal and non-metallic materials processing and coating film processing,Such as hardware,ceramic,glasses and clocks,PC,electronic components,all kinds of instrument etc. Stainless steel, Copper, Brass, Aluminum, Glass, Crystal, Plastic, Ceramic, Leather. 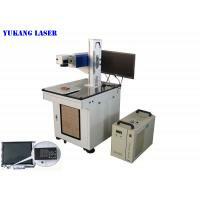 Supported format DWG, DFX, BMP, JPG, PNG, TIF, PCX, TAG, GIF, PLT etc..
CODE39, EAN, CODE128, Data Matrix, PDF417 etc..
Yubang Laser Machine works, is a professional engaged in marking machine design and industrial enterprises. Founded in 2002, covers an area of 2000 square meters. 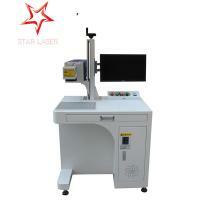 In annual production of 500 sets of laser marking machine,500 sets dot peen marking machine and electric marking machine,more over 100000 pieces marking stylus.Products are exported to all countries in the world,Such as the India, Spain, France, Germany, the United States, Brazil, South Korea and other more than and 30 countries . After we continue to improve and perfect the product quality has been achieved CE, ISO9001, FDA, TUV certificate, won the domestic and foreign large number of customers favor and approval. 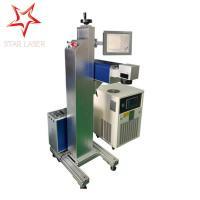 You can sent operator to Superwave Laser factory for free training. 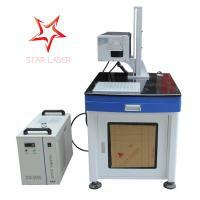 Superwave Laser will offer professional guide for free. It is direct and effective face-to-face training. Here we have well-assembled equipments, all sorts of tools and testing facility. - Our engineer can do a door-to-door instruction training service at your local site. We need your help to deal with the visa formality, prepaid traveling expenses and accommodation to us during the business trip and service period before their dispatch. It's better to arrange a translator for both of our engineers during the training period. Air Ticket + Local accommodation bears by buyer. Two years warranty for whole machine. Lifelong technical support online or by email and 18 hours online service to help you use our machine well. For standard machines, it would be 5-7 days; For non-standard machines and customized machines according to client s specific requirements, it would be 15 to 30 days. 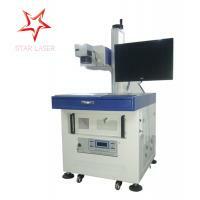 Yubang Laser is is a professional manufacturer of industrial laser equipment. We specializing on the research, development, production, and sales service. Brand Star was established in the 2002s in Guangdong, and manufactured pneumatic tapping machine and electrical tapping machine at the beginning. 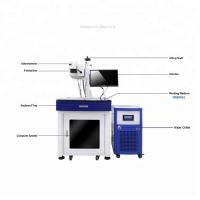 Our products include: laser engraving machine, laser cutting machine, laser marking machine, laser welding machine, tapping machine, drilling machine dot peen marking machine, inkjet printer, and so on. More than 20 series, 300 types. Personalized products and services to provide customers with a significant advantage. Due to the high quality of our products and reliable performance, they are widely used in electronics, hardware, model-making, clothing, footwear, advertising, printing and packaging, toy-making, as well as more industries. 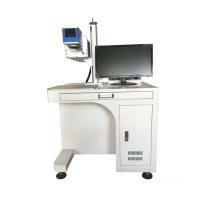 We have a team of talents engineers equipped with excellent skills in laser Technology. 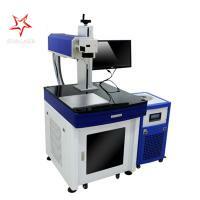 They pay highly attention to softwate and hadware development, and also the systems in relative inspection. In order to explore new application field and upgrade new skills to use in relative industry, we adopt international advanced skills from the USA, Germany, Italy and etc .We have two R & D base in Dongguan and Shenzhen City, well-known institutions of higher learning and research institutions at home and abroad, work closely with national patent applications for 63, a number of the core technological achievements and technical indicators at the international advanced level. 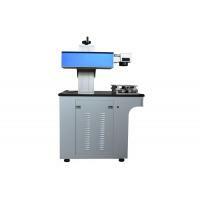 We provide customers with affordable, high-quality machine. For achieving the advantages of Asia, the full benefit in terms of quality and cost, procurement of key components from Germany and the United States, and the production and manufacturing in China. We have the best supply chain in China and parts manufacturers, and a solid record of quality and innovation, to prove that our 16-year performance of the machine. Our goal is simple: to sell the best machines at the best prices, and provides industry-leading customer service. We personally get to know each of our customers, to help others achieve their goals. For better service from pre-sales and after-sales, We have set up offices in China and overseas. East China (Kunshan) Office, South China (Dongguan factory), West (Chongqing), North China (Beijing), Central China (Hubei base) and Zhejiang Office (planning). We pure-hearted welcome friends from abroad to our company. Looking forward to a long-term cooperation on technique & management to bring us a mutual benefit.